The purpose of the Upper Texas Coast Sea Turtle Patrol is to monitor and protect nesting Kemp’s ridley sea turtles (and other sea turtle species) to assist in the recovery the Kemp’s ridley sea turtle population. The Upper Texas Coast Sea Turtle Patrol also responds to stranded sea turtles. Kemp’s ridley sea turtles, and all sea turtles, are iconic marine species in the Gulf of Mexico. Historically the Kemp’s ridley population was in decline in the 1960’s and 1970’s due to overharvesting of eggs and fisheries by-catch. The population reached a critical low in the 1980’s when only a few hundred nesting females returned to their natal beaches in Mexico. Conservation efforts in the 1980’s focused on protecting nests, protecting nesting females, reducing fishery by-catch and offshore mortality, and the establishing a second nesting beach in south Texas at the Padre Island National Seashore. 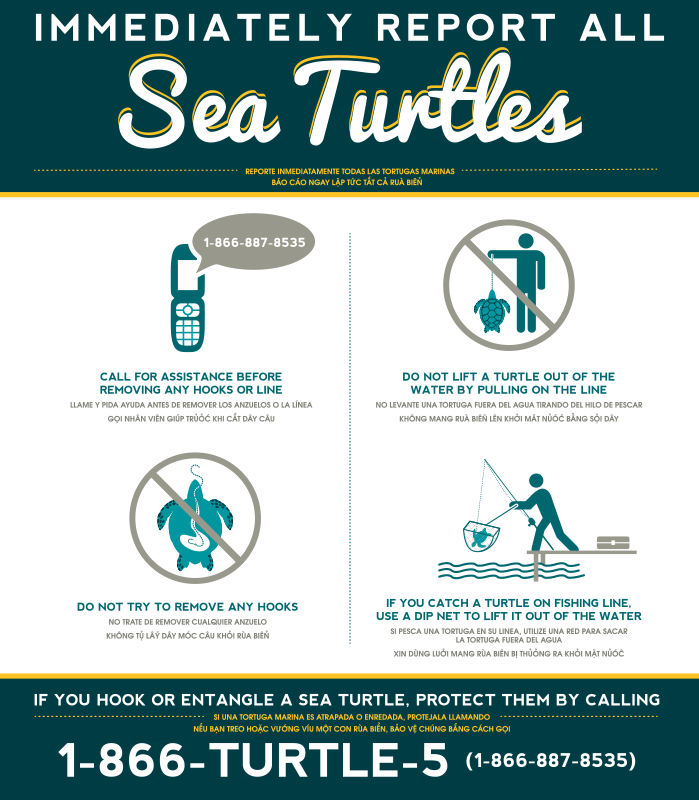 These efforts resulted in Kemp’s ridley sea turtle population rebounding to 10,000 turtles by 2009. We accomplish these goals through our frequent patrols of Upper Texas Coast beaches for nesting and stranded sea turtles, protecting nesting sea turtles, transportation of Kemp’s ridley sea turtle eggs to the NOAA Galveston Lab for subsequent transfer to the Padre Island National Seashore incubation facility, and the participation and mentoring of graduate and undergraduate students in this program. TAMUG’s role is to provide the biological response when nesting sea turtles are reported and the excavation of sea turtle nests. TAMUG also maintains and provide logistical support for motorized UTV patrols. TAMUG biologists assist staff from Padre Island National Seashore (PAIS) in volunteer training regarding the biology of sea turtles and how to spot turtle nests and tracks. In addition, TAMUG maintains the patrol vehicles and supports the logistical needs of motorized patrols. TIRN recruits, coordinates, schedules and monitors both walking and motorized survey patrollers, as well as responds to nesting turtles. Sea Turtle Patrol Volunteers consist of both students and community volunteers. Beach patrols range from Rollover Pass on the Bolivar Peninsula through Galveston Island to Surfside, TX. Surveys are carried out 6 days a week, from April 1st to July 15th. Surveys are conducted using TAMUG’s fleet of UTV vehicles, as well as volunteers walking the beach. If sea turtle tracks are found on the beach, responders will examine the tracks to determine if a nest was deposited, locate the egg chamber, excavate the eggs and transport them to the NOAA Galveston Sea Turtle Laboratory, where personnel from Padre Island National Seashore retrieve them for transfer to their incubation facility. Scientific data show that excavated nests have a higher hatching rate compared to nests left on the beach. These conservation measures are important for recovering Kemp’s ridley sea turtles, which are the most endangered sea turtle in the world. If an actual nesting sea turtle is encountered on the beach, responders will wait until the female is finished laying eggs. As the female returns to the beach responders will capture her to examine the turtle for any existing tags, collect measurements and samples, and attach identification tags in accordance with established nesting response protocols. In addition, the health of each turtle will be assessed. These data are important for overall management and conservation of sea turtle populations. The Upper Texas Coast Sea Turtle Patrol is works closely with the NOAA Galveston Sea Turtle Laboratory and Padre Island National Seashore sea turtle biologists. 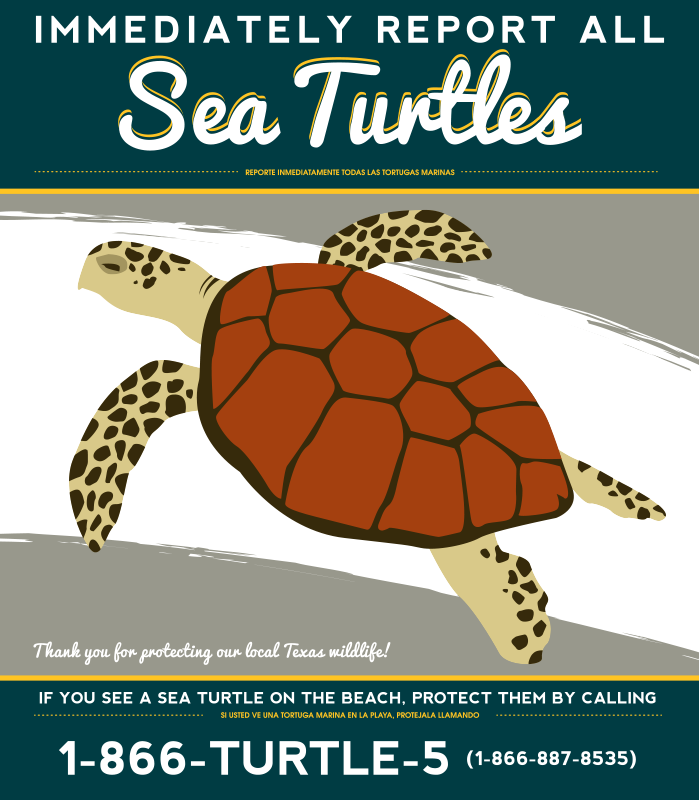 Our work is one piece of a statewide effort to recover Kemp’s ridley sea turtles, and all sea turtles in Texas. Our program is made possible through funding from Texas Parks and Wildlife Department, U.S. Department of the Interior, Texas Commission on Environmental Quality, and the Texas General Land Office.